In the UK yes, especially the early one in the Gooseneck frame as long as its genuine, the later one is in the competition frame also used with the B40 off road/B25 all/B44 all to 70, still worth more than a std C15 but not as much. 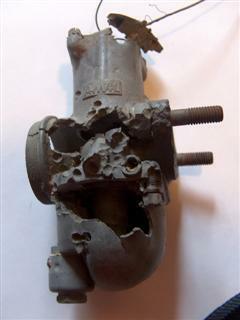 Watch out for a C15T engine in a C15 Gooseneck frame without the brackets and C15T tinware trying to look all C15T. What is a C15 worth in Oz? I'd say that, in the US anyway, they are two different markets, road compared to competition. Both very much a niche model, but almost apples/oranges. I think in the US that a $600 C15T needing internals would pretty much be a candidate strictly for competition, not at all sensible for making roadworthy and presentable for (limited) road use due to cost vs return. The T is much more rare, but not really reflected in "value". I had a look yesterday, seems OK, frame C15S 24XX, engine C15T 14XX, has a normal C15 oil tank though, still has front 20" wheel with original Trials Universals. He may have another one or two of them too. I don't think there is much of a market for these bikes here in Aus, I was just thinking about building an off road fun bike, not really fully original. It will come with a spare engine so I will have all the parts and I will have the choice of about three part-dismantled bikes all up, some of which are also C15T by the looks of it. They do look good restored. 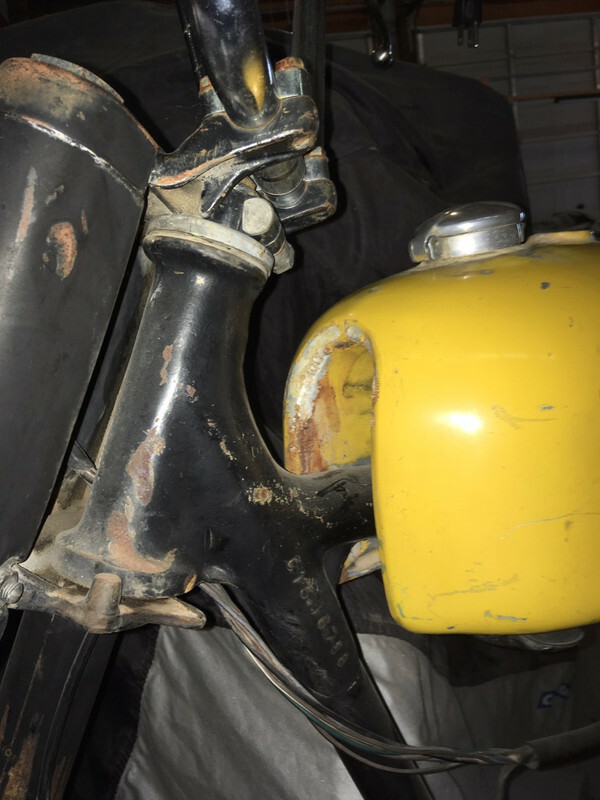 If you are thinking about making a dirt bike, then triple the warning about the gooseneck frame. They are fine for Tirals which we don't do in OZ apart from a little in SA and slightly less in VIC. Or with the front wheel hard up against the down tube if your off road skills are on par with mine. Remember trials are all about going slow and maintaining balance. I have always maintained one of the reasons for our high motorcyclist collision rates is kids scramble rather than trial. Last edited by BSA_WM20; 04/16/19 6:01 am. If it is to be an "off road fun bike", you might consider using the later sidepoints spare as your propulsion unit, much better in many respects... put your money and efforts into that engine, it would be an improvement and upgrade. Though the S frame has a weak steering head setup, it is the Scrambler frame of the era, not as strong as the later C comp frame, but still intended for off road use. Just be aware of the problem area. Tiger cubs (as you're probably aware) had the swan necked frame and used braced tanks to hold the neck on. Some tiger cub trials use an oil tank tube under the fuel tank as a brace although not sure if that set up would work in Oz? The 3/5 ta used the same frame design and later introduced a brace under the tank as a bolt on, then later welded an extra tube in and changed the tank. There may already be a part manufactured to brace a swan neck c15 frame ? Or it would be easy enough to make something? It would be difficult to brace the neck using the stock tank... it has a shallow tunnel designed to snugly hug the top frame rail, no room on top or sides of the frame rail for bracing. Back then BSA did offer an alloy tank option for these. It looked very much like a Victor tank, but it also had the shallow tunnel, so wouldn't help here. Even if you could find one. But... a later Victor tank (designed for the C frame) has a much deeper tunnel, and possibly would have enough clearance above the frame rail to allow a gusset to be fabbed? It would take a little fiddling, would end up looking essentially like the C15T with the optional alloy tank. Victor tank sitting on a C15 frame. It looks as though a good gusset could be added without hitting the B44 tank. Worth a thousand words, Tom.